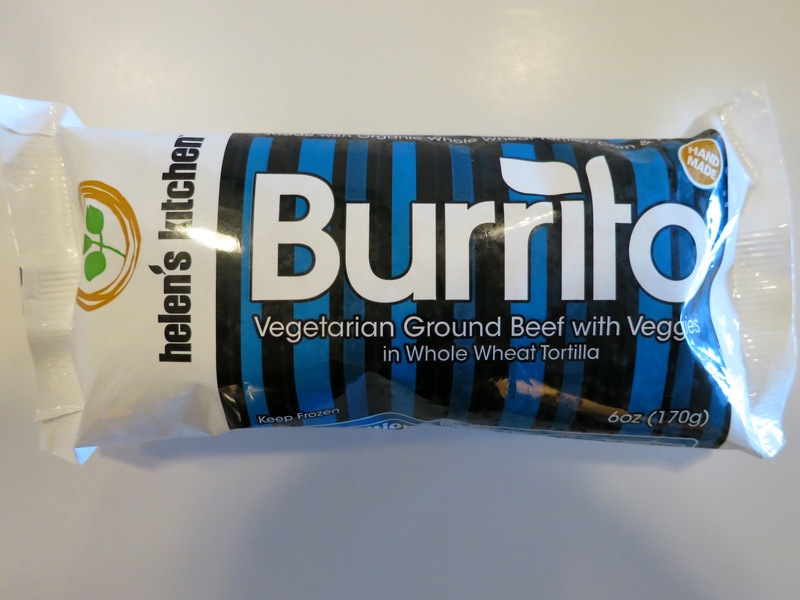 Helen's Kitchen is a company that makes all-vegetarian products. I haven't seen many of their products in the DC-metro area yet, but I was able to find one of their burritos in a natural foods store in Maryland. The packaging stated that this burrito was made with vegetarian ground beef and veggies, however, when I bit into it, it tasted like mostly vegetarian ground beef. When I eat a burrito, I prefer to taste some vegetables, not just all faux meat. I was a bit put off by this, which made it hard to finish the burrito. In the end, the burrito wasn't that bad, but it wasn't what I generally prefer. I think it needs more vegetables and more seasonings. I ended up coating it with hot seasoning and salsa to give it some much-needed flavor.